 Miravalles is a 2028-m-high andesitic stratovolcano that is one of five post-caldera cones along a NE-trending line within the broad 15 x 20 km Guayabo (Miravalles) caldera. The caldera was formed during several major explosive eruptions that produced voluminous dacitic-rhyolitic pyroclastic flows between about 1.5 and 0.6 million years ago. Growth of post-caldera volcanoes in the eastern part of the caldera that overtopped much of the eastern and southern caldera rims was interrupted by edifice collapse that produced a major debris avalanche to the SW. Morphologically youthful lava flows cover the western and SW flanks of the post-caldera Miravalles complex, which rises above the town of Guayabo on the flat western caldera floor. The only reported historical eruptive activity was a small steam explosion on the SW flank in 1946. High heat flow remains, and Miravalles is the site of the largest developed geothermal field in Costa Rica.